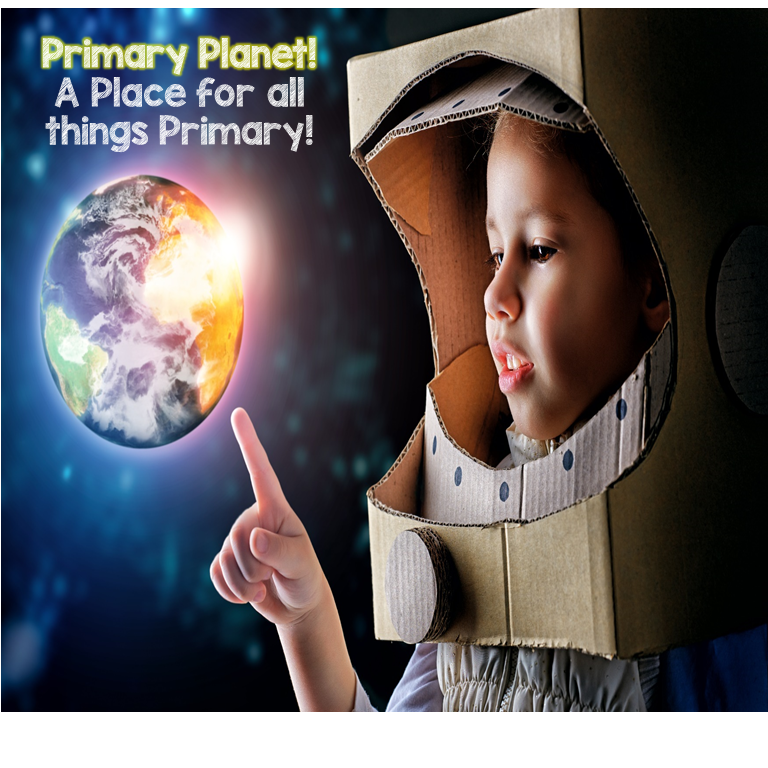 A little Quirky... | Primary Planet! Oh my heavens is this thing brilliant! It is one of those simple ideas that make it so much more useful! 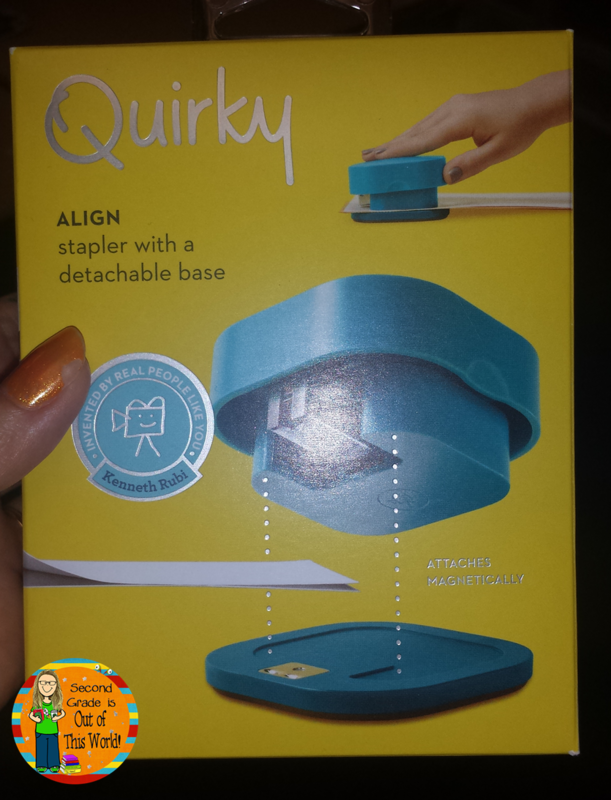 It's The Quirky Align Stapler! Now! Let me tell you more about this little gem! It is a two piece stapler. The top is the actual stapler, the bottom is the base. It is completely detachable and the base is magnetic! 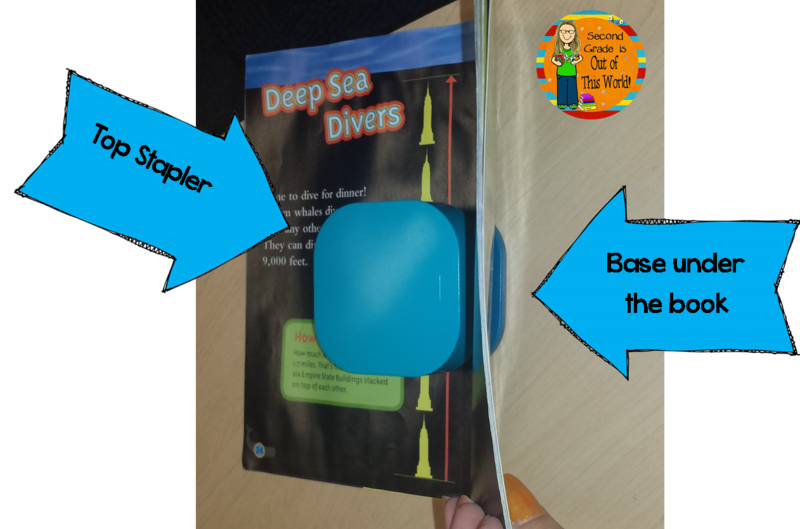 The stapler on it's own is perfect for stapling things onto walls or bulletin boards. The most brilliant part is that it makes repairing books a breeze! 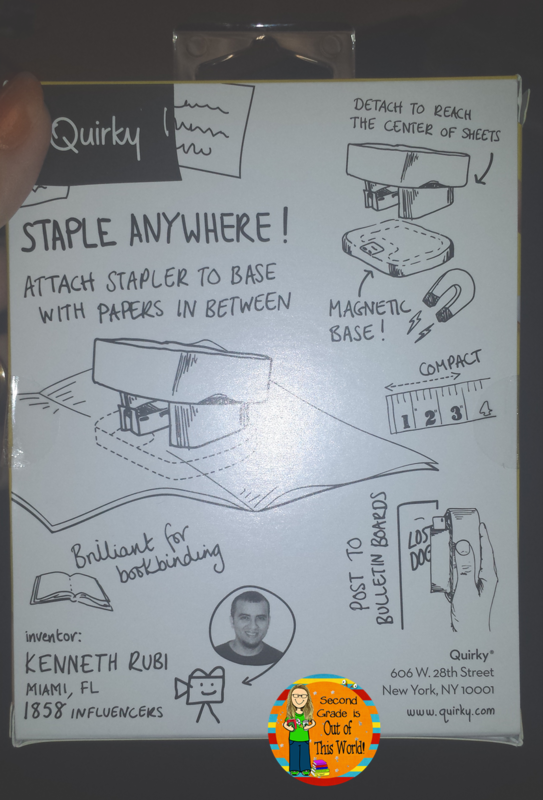 You can staple anywhere on a page! 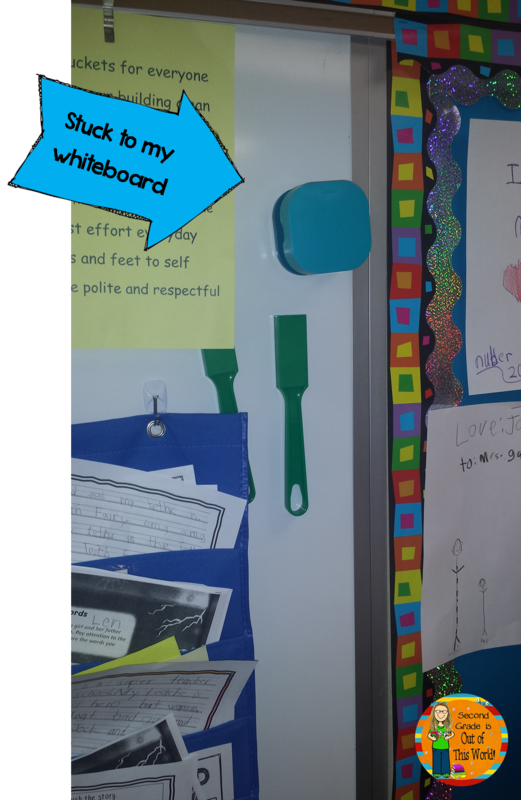 It is magnetic, so I hung mine on my front whiteboard so I wouldn't lose it! I LOVE it! You can get yours HERE! How would you use it in your classroom? I found this company a few weeks ago and bought one as well. I love mine! 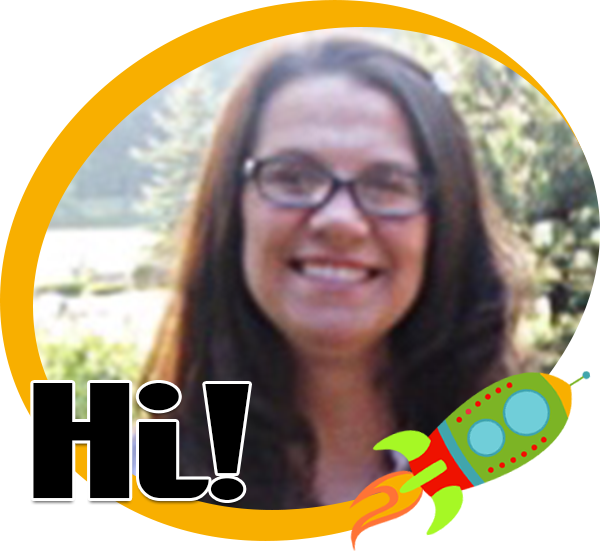 Thanks so much for stopping by Aimee! I'm glad you like yours too! I love finding fun stuff like this! FYI--They are currently for sale in various TJ Maxx, Homegoods and Marshalls stores for $5!